1. Why would we want to rate the amount of biodiversity in a location? So we can document the number of species present, as well as the abundance of that species. 2. Examine the charts below and calculate the diversity indices for the 3 samples. 3. Use the results from the previous question to describe the biodiversity of each sample. The most biodiversity can be found in sample 3 because it is .9. 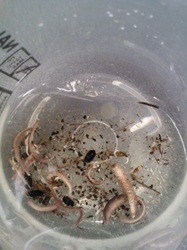 Although sample 1 had an even number of all species, therefore stabilizing and having a lot more of their species in biodiversity. Sample 2 was sort of in the middle. There will be medium biodiversity in the leaf litter. What is the biodiversity of leaf litter found under a tree at the edge of the woods in zone 1. 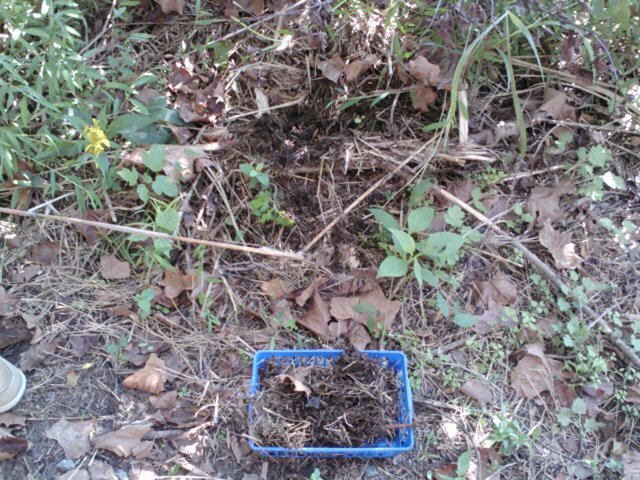 Collect a sample of leaf litter. Be sure to collect the entire layer down to the soil. Examine the sample and classify what you see the layer is composed of. Place your sample into the Berlese Funnel under the light source. Place a small beaker of alcohol under the funnel. The hope is that small invertebrates will travel away from the light and fall into your alcohol. The next day, collect your beaker and examine the organisms you have collected under the microscopes. You will need to calculate the number of each species you have, and identify them. Each person may work on a portion of the sample and put your numbers together. Use the identification pages to name each species. Use the information to calculate the diversity indices for your sample. What are two reasons the organisms move away from the light down the funnel? What does this indicate about the organisms? 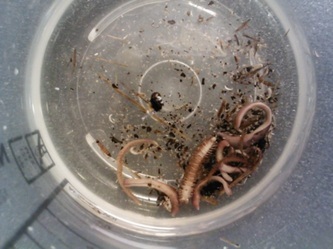 The organisms move away from the light because they live in the ground or on the surface, but under all the leaf litter. They barely see the sun, let along just hang out right under it. 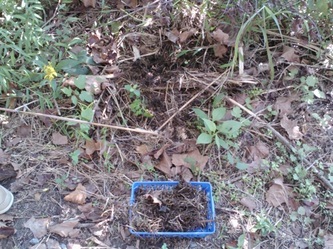 Summarize whether you think the biodiversity of this litter is high or low density. If low, try to give some reasons why this might be. The biodiversity in this particular area was high. This is proven by Simpson's Index that was found at .22, which is close to 0. The high biodiversity may be due to the leaf litter location being under a tree where many bugs live. They may fall or drop down into the leaves or they make their home close to the tree on the ground. Why would an environment scientist need to make more than one measurement if he was calculating the biodiversity? How would you take samples of a large forest? There are different biodiversities everywhere, shown through this experiment. Therefore, to get a real idea of the average biodiversity for a location, an environment scientist would have to make several measurements. For a big forest, the scientist would have to call in some back-up. But, the scientist could also just take measurements of the high expected areas and the low expected areas and take conclusions from there. Evaluate your Hypothesis. The hypothesis was unsure. It was in the middle because it was undetermined to whether the leaf litter in the specific location would really hold a high density of biodiversity. Now, it is obvious the biodiversity is high because of where the leaf litter was located- under a tree. Possible sources of error. There needed to be more time allowed to classify all bugs. There were some species that went unclassified and uncounted for in this experiment because time was short. Perhaps next time the experimenters could have more class time to figure out what each species was. The biodiversity would be even greater if all species had been accounted for. Application. The ability to measure biodiversity is largely important to an environmental scientist, but it also gives the average person perspective. For example, when man kill forests, they are killing so much more than they believe. The small species living in the ground are affected greatly too; their home is swept right from under their tiny feet. The real world should see these insects too, although there are literally billions of them. Regardless, forests need to be protected for various other reasons, including the homes of small ground-dwelling organisms.